Google has unveiled Android Things, an update to its Internet of Things (IoT) developer platform, which it says will make it “faster and easier to create smart, connected products” powered by Android’s operating system and secured with updates directly from the internet giant. Hardware from Intel, NXP and Raspberry Pi have also been made available for developers to “get started building real products”, Google adds. Meanwhile, Google’s Weave platform has also been updated to “make it easier for all types of devices to connect to the cloud and interact with services like the Google Assistant”. The updates follow feedback from Project Brillo, an IoT development platform unveiled in June 2015 to connect devices through Weave — which Google said aimed to provide “seamless and secure communication between devices both locally and through the cloud”. 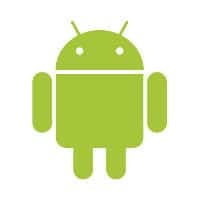 In a blogpost, Google says any Android developer can “quickly build a smart device using Android APIs and Google services”, including Android Studio, the Android Software Development Kit, Google Play and Google Cloud Platform. “Start prototyping immediately with supported boards and a developer build of Android Things. There’s no need for kernel, firmware or board development,” Google adds.